The 'Fountain Room' is named in acknowledgement of the exquisite heritage listed Italian fountain that takes centre stage amidst our beautifully manicured gardens. The fountain can be seen from all aspects of the main room and decking area, and when lit up at night provides a spectacular backdrop for your event. The bright and airy room is perfect for large cocktail parties, trade shows, formal banquets, dinner dances and weddings. Your guests can enjoy canapés and cocktails on the deck before moving inside to commence formal proceedings. With a large parquetry dance floor, raised stage area, up to date audio visual equipment and a well-stocked bar, the room avails itself to accommodate any style of event. 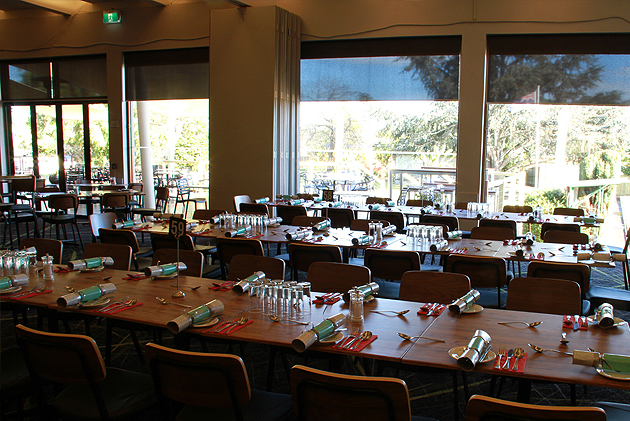 If a more casual event is what you desire, then The Bentleigh Club has it covered. With barbeque packages or perhaps barefoot bowls, you can have a relaxing day on the deck, maybe a Devonshire tea or garden party is more your style!